The concept of not cashing a ticket - losing it, bringing a voucher back home with a few dollars on it and various other reasons - is not uncommon to horseplayers and customers of racetracks. Because of the monopoly racing was, whereby every group, faction, government etc could take bettors money with impunity (it was not like they had to compete) even that uncashed ticket money finds a home. And as reported by WKYT in Kentucky the home is not with the rightful owners. Over $2.3M in uncashed tickets go unclaimed in Kentucky. Nationwide it is of course much more. The cash, if unclaimed for a prescribed period of time, goes to the backstretch workers. Surely a noble cause; however, taking the bettors money and not returning it to them in some way is surely emblematic in regards to how customers are treated in horse racing, not to mention an obvious display into the industry's foresight in customer cultivation. In Canada in 2007 there was a movement to take this uncashed ticket money and place it into a jackpot bet for bettors, a lower takeout bet, giveaways to customers etc - in effect return it to its rightful owners (and ironically, help a business which seems unable to help itself when dealing with customers). I was a part of this process during a wagering conference. At the conference itself there was almost unanimous support (when the public was watching) from the 300 people or so present, to get this done. In the crowd I saw only one hand go up when asked who was against this - it came from a representative from a horseman group. That should have clued me in; they had their fingers in the horseplayer uncashed ticket pie and were not going to give it up without a fight. Regardless, after the meeting it seemed that at the upcoming government review, uncashed ticket money would now be going back to customers in some way. I spoke to several people and expected a press release to be issued telling us how the customers money was going to be given back. As I understand it, the meeting was held (with only the racetracks, government agency and horsemen group present), and it was not passed. The tracks and the horsemen group both voted it down, and if they vote it down the government can not make them do the right thing, they just rubber stamp it. The good feeling at the wagering conference with industry watchers, tracks, bettors, customers and lovers of the sport agreeing that this simple, common sense thing to help racing and do the right thing, was all one big show - one big thumb in the nose of the customers. It was not the customers money it was theirs, and they were not giving it back. And they wonder where handle has gone since 2007, when this meeting took place. Racing is not friendly to customers, and they never have been. The question to me is: Will they ever be? A good start would be to give uncashed ticket money back to the people who own it - the customer. But without the horseplayers having a seat at the table, with real clout, I am not holding my breath. Dean is a HANA member from Canada. If you'd like to join HANA please click here. At my local track, I was surprised to now find out the tellers don't carry nickels or dimes at the register. So when you cash out a ticket, you get the money to the nearest denomination of money UNDER that which the ticket is worth. Easiest way to fix this problem is for bettors to actually cash their tickets! If a reasonable time period passes and these tickets remain unclaimed, then be happy the money at least stays within the industry and is not pinched by a govt stealth tax. There's bigger fish to fry than this one. It is a microcosm over on this side of the Atlantic, Scott. Breakage is archaic, for example, where we can easily break to the penny. But part of the breakage money is claimed for by [insert name here] so there is no hope. The uncashed ticket money is claimed by [insert name here] so there is no hope. A % of takeout goes to [insert name here] so there is no hope. Everyone has their fingers in this money. And no one - repeat no one - wants to give up even a penny of it. The sad part of course is that the pie keeps shrinking and there is less and less for the people who are fighting over it. 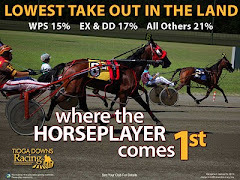 In the UK and AUS you have wagering sales, and fixed odds betting and lower takeout win pools. We have none of that. WE are fighting for scraps, and the people who own the scraps will fight til the bitter end. Truth be told, Scott's largely correct. Cash our tickets and this isn't an issue. And I'm a guy who once lost -- flat-out LOST -- a $70 voucher at Oaklawn Park. I can't necessarily argue with the notion of returning the money to bettors through some sort of prize pool. There's logic in that proposal. As someone who both bets on the front side and regularly visits barns and workers on the back, I know how hard those people toil for very little money. How much their families sacrifice for them to continue working in the racing industry. If there's anybody who gets the short end of the stick from the racing biz as often as horseplayers, it's back-side workers. So if they derive a benefit when I lose my $70 voucher, I can actually live with that. "As someone who both bets on the front side and regularly visits barns and workers on the back, I know how hard those people toil for very little money. How much their families sacrifice for them to continue working in the racing industry." Then the tracks should take care of them. What's next, a tip jar for horseplayers to pay for a racetracks landscaping? When people in racing get that simple equation through their heads this industry has a chance to grow. Until that time the equation is, goodbye purses and goodbye customers. I don't bet Canada,the takeout is too high. Who leaves uncashed tickets except unaware gamblers? Do the aware gamblers deserve that money? This does not fit the worthy model of "return more money to the players so they bet more." Smart tracks would find the players that made the wagers and alert them to come to the track to cash the tickets, and hopefully bet more. But refunding uncashed player tickets to bettors that had nothing to do with the bets makes no sense. Lower takeout. Better simulcast coordination. Fractional wagering. Regardless of where you stand on this particular issue, it is emblematic of the disregard racing commissions have for the general public. Racing Commissions are the administrative body which regulates racing and supposed to protect the public's interest. 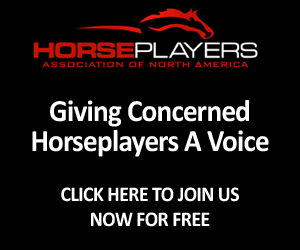 In reality, the public's interest gets little consideration from the racing commission. One example of this is when in the States they changed the recall rule in harness racing and didn't include a fair start rule. For those not familiar with harness racing, in the old days if a horse did not make the gait by the time they reached a recall pole, a recall would be called and they would attempt to start the race again. If a horse caused two recalls, it was scratched and the money bet on it was refunded. 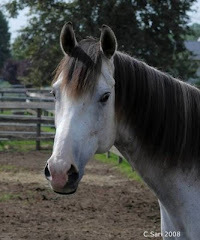 In Canada, when they eliminated the recall for bad actors, they instituted a fair start rule which required a refund for any horse that was 200 ft (2/3rds of a football field) behind when a race started. The horsemen got the main cause of recalls eliminated and the betting public was protected. In the States, a fair start rule was not approved. Why? The horsemen and tracks didn't want to refund the money and lose their commissions on those wagered dollars. How was this protecting the interests of the public? It wasn't. Well, a proposal to introduce a fair start rule to New Jersey has been proposed and is open for public comment before it becomes final. It will be interesting to see if the racing commission does the right thing and protects the wagering public this time by approving this rule or if the horsemen and racetracks manage to look out for their self interests once again and get this proposed rule change killed off. Horsemen won't give up their purse money without a fight because we own the product. Do you have any idea how much it cost to get a horse to the track? $15 to 20 THOUSAND dollars a year. Plus, I agree with Glenn, cash the ticket and their isn't a problem. Don't be like the guy two years ago who almost blew a several thousand dollar ticket from the KY Derby and LEFT IT AT THE TELLERS DESK. The oh so evil teller at Turf Paradise kept it for the guy. 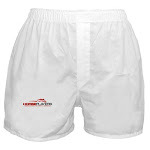 "Horsemen won't give up their purse money without a fight because we own the product. Do you have any idea how much it cost to get a horse to the track? $15 to 20 THOUSAND dollars a year." I know this all too well. I have paid over $20k monthly when the stock was at its peak, just for training fees. Unfortunately that has little to do with the argument. The simple fact is that well over $1B was distributed for purses to pay those bills 10 years ago and now we are not even close. The handle losses you speak of makes everyone poorer. Taking $2M in Kentucky of uncashed ticket money and giving it back to bettors through marketing promotion and so on is a good thing. It can grow handle and it can make our patrons feel that they matter. When horseman groups and tracks veto such measures they are doing nothing but assuring lower handle and lower purses. All some of us are saying as bettors, owners and businessmen is: Enough is enough. It is time for a different approach; a customer centric one, because in the end there is only one person who pays the bills in racing - the people who supply the purses. The customer. Yes, Horsemen own the product. How much is the product worth if no one wants to buy it? Horsemen need to help build a market for the product otherwise, once states and provinces wake up, there won't be any product. Horsemen do not own the product. The product is tickets. Horseplayers (the ones who pay for the purses and track operations) buy tickets not horses. Gordon, do you realize how much work a Horseplayer has to put in to try to beat a 20% takeout in the long run? 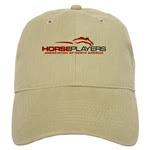 If a Horseplayer bets $20,000 a year, only $16,000 is expected to be returned to him if he is an average player. Shouldn't the Horseplayer be considered for some of the proceeds of alternative gambling, and surely they are entitled to the uncashed tickets at least, and breakage too. Lets be fair here. 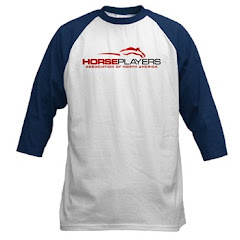 Besides, like in horse ownership, when it comes to purse increases, the more money returned to the Horseplayer, the more Horseplayers you have in the long run. I was at my local track two weeks ago to the day and found a credit voucher left in a machine. It had been sitting there for quite sometime and no one recgonized it. I decided to retrieve it. I informed a mutel teller that I had found a voucher and they asked where I found it. I simply told them in a machine. She then instructed me that I needed to return it to her because it was property of the track. She paused, then realized how stupid she sounded. She cashed the voucher and I tipped her half.